Photography Blog has reviewed a digital camera from Nikon targeted at regular consumer photographers. 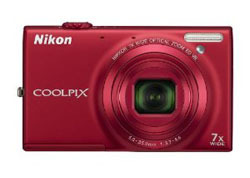 The camera is called Nikon Coolpix S6150 and comes with 16 megapixels and 7x zoom, in addition to HD movie recording. Photography Blog ends up giving the Coolpix S6150 a “Above Average” rating with a total score of 3.5 stars out of 5 possible. The Nikon camera scores highest on value for your money and design, and a little lower on image quality, features and ease of use. Overall this Coolpix is a good camera but it does not really excel compared to other cameras in this class. Maybe it is worth spending a few more extra dollars to get an even better camera. Read the full review of the Nikon Coolpix S6150 digital compact camera here.